Hi everyone, welcome to english-learning.net, I hope you are well today. 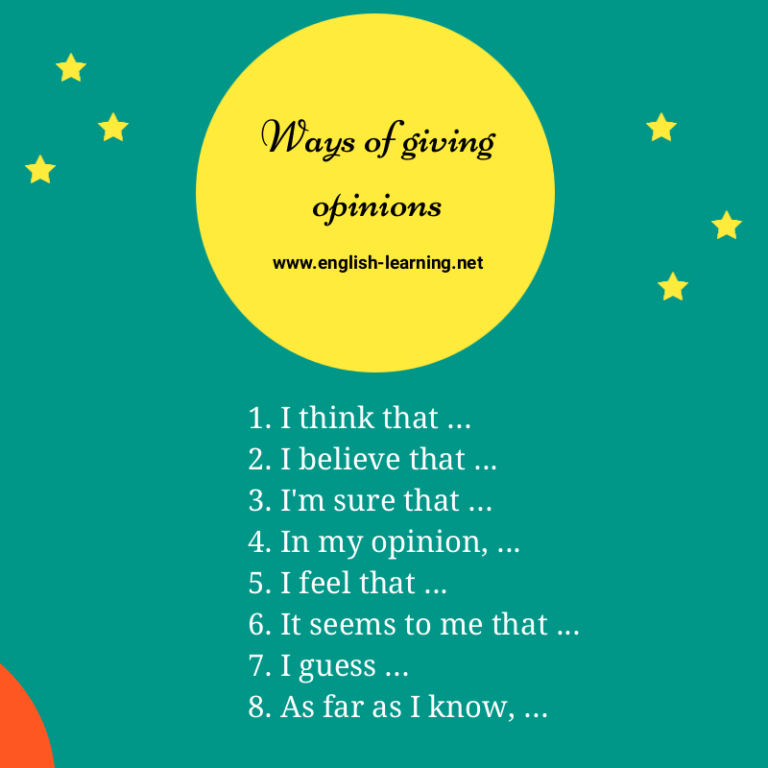 In this lesson, we’re going to learn different cool ways to express your opinions, what you think, what you believe. I think that we need to make a detailed plan. I believe that not many people find this software useful. I believe what we are doing is right. I’m sure that she is the best candidate for this position. This is a natural and common way to give people your ideas and thoughts. If you have an idea and you’re not sure if people would agree or disagree, it’s just a personal opinion, then this expression is the perfect choice. 6. It seems to me that …. As far as I know, people in the Netherlands could speak English quite well. As far as I know, the best city to travel in Asia is Japan.